When a man in New York realized that Nutrish, the natural dog food line made by Rachael Ray, contained glyphosate, a dangerous weed killer, he filed a lawsuit against the company. The plaintiff says that he relied on the Nutrish dog food label information when doing his shopping. He went on to explain that as a reasonable consumer, he did not expect the product to contain unnatural chemicals. 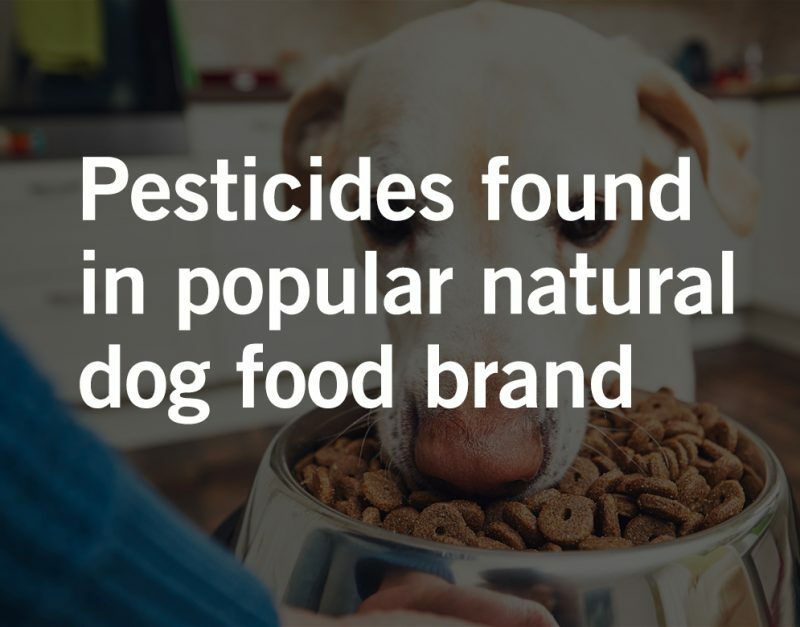 Later, he learned from quantitative testing on the product that the dog food contains glyphosate, an herbicide used in the dangerous weed-killer brand Roundup. Glyphosate is an herbicide applied to vegetation to kill broad leaf plants and grasses. It is also used to regulate plant growth and ripen fruit. However, in 2015, the World Health Organization’s International Agency for Research warned that glyphosate is likely a carcinogen. Despite this warning, glyphosate is still the most widely used herbicide in the world. Animal studies have even connected glyphosate to birth defects and reproductive problems. While the lawsuit states that the source of the chemical is not known, it does allege that “crops such as peas, soy, corn, beets, and alfalfa are sprayed with the chemical in order to dry them and produce an earlier, more uniform harvest.” Another recent lawsuit, filed against General Mills, maker of Quaker Oats and other breakfast cereals, claims that the cereal maker failed to warn consumers about glyphosate in its cereals. Again, the plaintiff, in the General Mills case, claims that she relied on label information from the company in making her buying decisions. While the public should be able to confidently rely on manufacturers and their products’ labels when gauging the safety of products they put into their bodies, unfortunately, it has become clear that many manufacturers continue to knowingly expose the public to toxic chemicals and cannot be trusted. The lawyers at Waters Kraus & Paul have been representing people who have been sickened by toxic exposures for more than twenty years. Do you have a child suffering from a birth defect or cancer as a result of exposure to pesticides? If so, call us at 800.226.9880 to speak with one of our birth defect lawyers, to learn more about how we can assist you.